The flags of four nations have flown over Arizona over the course of the last 500 hundred years. At various times the flags of Spain, Mexico, The United States, and the Confederacy have flown over the state. 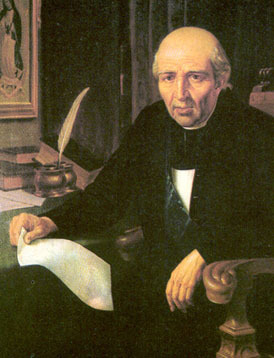 Abraham Lincoln signed the bill authorizing the Territory of Arizona in 1863. Arizona became the 48th, and last of the contiguous states to be admitted to the Union, on February 14, 1912. The year 2000 Census ranks Arizona 20th by population. Today, Arizona has an estimated 6,239,482 residents. Highest Elevation: Mount Humphreys at 12,633 ft.
Lowest Elevation: Colorado River at 70 ft.
Avg Annual Rain: 12.7 in. Location: The four corners area of the southwestern U.S. bordering the states of New Mexico, Utah, Nevada, California, and Colorado. Also borders the Mexican states of Sonora and Baja California. The state's humble beginnings began some 12,000 years ago with the migrating Paleo-Indians, a race of archaic hunters and gatherers. These early inhabitants included the Clovis people whose stone tools and arrowheads have been found at a mommoth-kill site in southeastern Arizona. In addition to mammoths these early hunters also encountered camels, sloths and horses. Due to climate change and over-hunting of the larger mamals, the hunting societies disappeared, replaced some 7000 years later by pottery-making societies such as the Hohokam. This period is known as the Archaic Period. It was during this period that settlers began growing a small and primitive variety of maize at places like Bat Cave and the Tucson basin as early as 3500 BC. Between A.D. 200 and 1450, the Hohokam culture thrived in southern Arizona. The Pima and Tohono O'odham are most probably the descendents of that advanced civilization. This conclusion is based on oral tradition and the fact that O'odhams are found during the later periods of the Hohokam culture. In addition to the Hohokams, this period also includes the Anasazi, Mogollon, and Patayan cultures as well. The tribes native to Arizona are divided into three groups: the Uto-Aztecan, the Athapascan, and the Yuman. Many other tribes can be found here, but they moved to Arizona from other locations. These include the Paiute from Utah and the Yaqui from Mexico, and the Apaches from Canada. Among the Uto-Aztecan tribes are the Hopi, the Pima, and the Papago. While the Hohokam culture was centered in southern Arizona, the Anasazi were located in the Four Corners region ( Northern New Mexico west of the Pecos River, southwestern Colorado, most of southern Utah, and northern Arizona south to the Little Colorado River). The Anasazi existed around two thousand years ago and are thought to be the ancestors of modern Indian tribes like the Hopi, the Zuni and the Pueblo. Several Mogollon groups clustered within roughly 100 miles east and west of the New Mexico and Arizona border and extended some unknown distance southward into Chihuahua and Sonora. These westernmost groups – with their signature brownware ceramics – give definition to the Mogollon culture. Payayan cultures appear near AD 875 and many cultural characteristics continued into historic times. 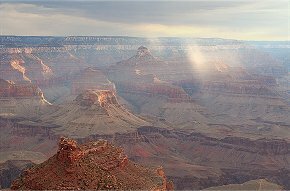 The Patayan Culture may have originally emerged along the Colorado River, extending from the area around modern Kingman northeast to the Grand Canyon. In southern Arizona the Hohokam culture gradually disappeared and was eventually replaced by the Tohono O'odhams (formerly known as Papago) Indians. The Tohono O'odhams were primarily farmers, cultivating corn, beans, and cotton, but they also gathered wild vegetables, including the fruits of various cactus. In additon to farming, many O'odhams also engaged in cattle raising. Baskets made by the women from this period are intricate and beautifully made, and in demand by collectors. 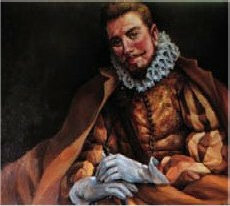 Also in 1540, as a naval complement to Francisco Vasquez de Coronado's overland expedition, Hernando de Alarcon, the Spanish navigator, explored the peninsula of Baja California, becoming the first European to see the site of the present day City of Yuma. This expedition was successful in penetrating the lower Colorado River some 80 miles, as far as the modern California-Arizona boundary. The Sinagua evolved, a tribe that moved into the area of present-day Flagstaff and south to Oak Creek Canyon around the year 1,000 A.D. Their name is derived from the Spanish for "no water," a reference to the leaky, porous limestone cliffs where the tribe built dwellings that were noted by the first Spanish explorers. 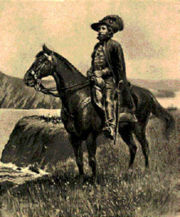 The Apache and Navajo migrated to Arizona about 1300 A.D. from the McKenzie River area in Canada. Arriving here around 1450 to 1500 AD, the Navajo moved into Canyon de Chelly and Chaco Canyon. The Apache moved into the Central Highland areas of Sedona, Tonto Basin and the White Mountains. Eventually some of the bands moved south into the Chirachua Mountains near today's Mexican border. 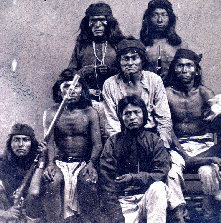 The Navajo and the other Apache groups are clearly related through culture and language and thus are considered Apachean. Apachean peoples formerly ranged over eastern Arizona, northwestern Mexico, New Mexico, parts of Texas, and a small group on the plains. All of these cultures expressed similarities, as well as differences, and are marked by intricate pottery and basket making skills. 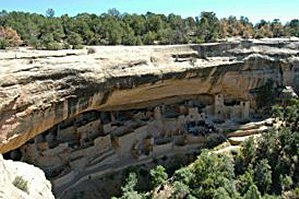 Cliff dwellings, pit houses, and pueblo style building are all hallmarks of this period.